In 2005, the Bureau of Internal Revenue (BIR) launched an anti-tax evasion program called Run After Tax Evader (RATE). The program aims to punish tax evaders, encourage people to voluntarily pay their taxes and solidify the reputation of the BIR. If you’re looking to report someone who might be guilty of tax evasion, then this may serve as your guide. Tax evasion or tax fraud is the act of committing illegal methods to avoid or reduce the payment of taxes. Under the law, anyone who can provide credible information which leads to discovery of tax violations can be an informer. However, he must be willing to prove his allegations by undergoing the process of providing substantial evidence. An informer may be blacklisted if found supplying false information. Make Sure You Come Up Clean – If you are aiming to get a reward, it would be a hassle if you end up as the subject of the investigation as well. So ensure you are not a tax delinquent. 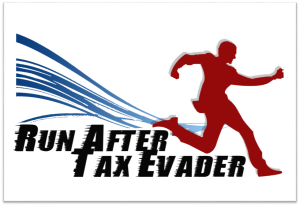 Collect and Present Your Evidence – Before you report a tax evader, you should collect enough pieces of evidence. While the BIR may entertain “anonymous” complaints, it must be backed up by complete documents, paper trails and records that the tax evader will find hard to refute. An Affidavit may have to be submitted to support your report. There is a better chance for the tax evader to be prosecuted and tax deficiencies to be collected if there is sufficient proof for conviction. when your evidence is ready, you’re good to go. You can now present and submit it to the BIR. Preliminary Investigation – When the BIR acknowledges your report, there will be a preliminary investigation. This is where they will determine the merit of your report. They will verify whether your allegations are true. Also, they will determine the methods of tax evasion committed by the person or entity you reported. Formal Investigation – The preliminary investigation is followed by a formal one. But before it starts, a Letter of Authority (LOA) must be issued. In this process, they will conduct a thorough examination to determine whether there was indeed a tax fraud committed. Filing of the Case to the Department of Justice (DOJ) – Once they determine that there’s a tax fraud, the BIR will now file the case with the DOJ. Monitor the Case – the BIR releases every week the tax evasion cases filed with the DOJ thru their website. You may check if the person or entity you reported is included in the list. First, you need to know the Revenue District Office (RDO) where the said tax evader is registered. Then, you can proceed to report the case together with the “substantial evidence” to the Regional Investigation Division (RID) of the Revenue Regional Office governing the said RDO. For convenience, you can email your sworn statement together with the supporting documents to rate@bir.gov.ph. According to Section 282 of the National Internal Revenue Code (NIRC) 1997, the reward is 10% of the taxes and penalties recovered from the tax evader. Or One Million Pesos per case, whichever is lower. It takes a hero to report a tax evader. But while it is indeed a daunting task that holds no promise of success, the thought of being in service of the nation is far more rewarding than any material gain.